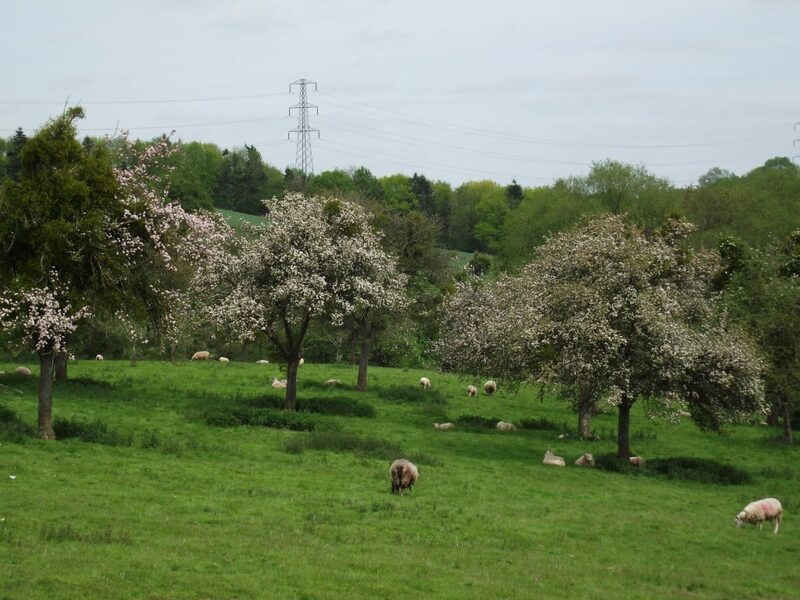 This one of the prettiest orchards in the Rochford area, sitting alongside the River Teme and in one of the most rural parts of Worcestershire. 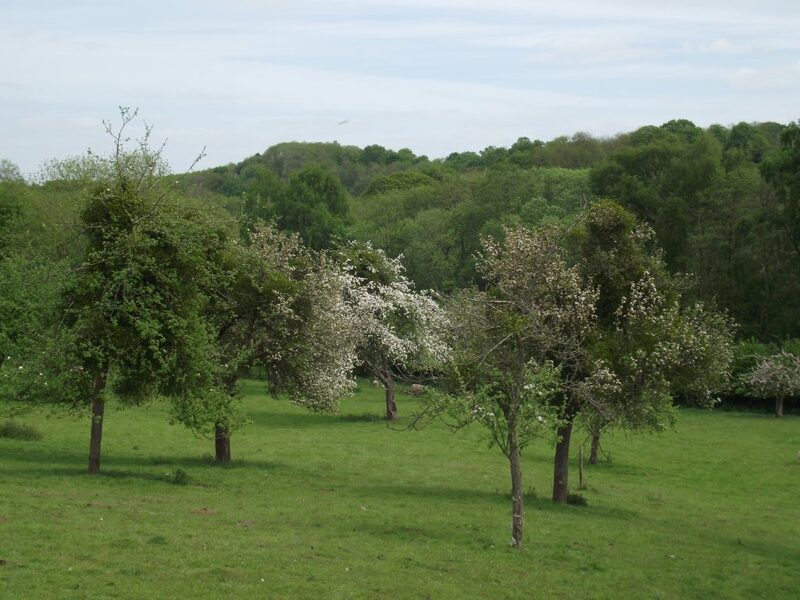 The owner grew fruit for Bulmers, once one of the largest cider fruit buyers and growers in the area, so the trees are recognisably a ‘Bulmer’s mix’ and planted in rows which can be easily harvested. Throughout the 1920’s to the 1950’s Bulmers encouraged farmers to plant cider fruit for them and many orchards were planted locally. The owners have maps though which suggest that there were orchards around the farm dating from much further back, so these ‘new’ trees probably replaced the home orchards. 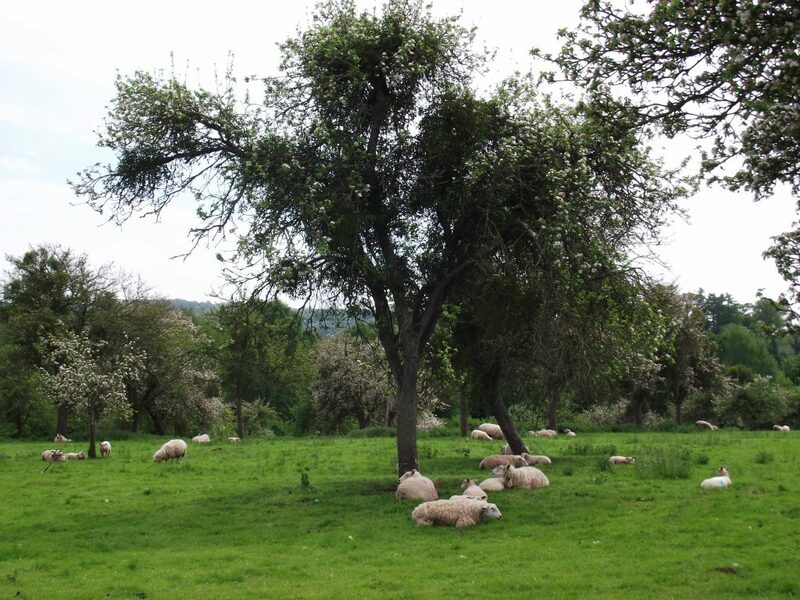 The orchard has been surveyed for wildlife and, not surprisingly with it’s riverside location, proved a hot spot for all sorts of flora and fauna, including nesting spotted fly catchers and green woodpeckers and Noble Chafer frass was present in several of the old trees. 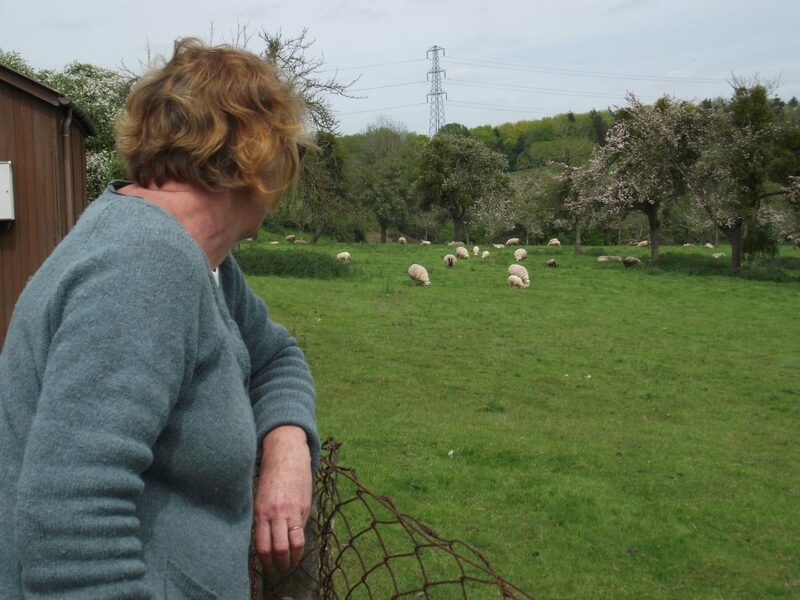 Sheep grazing also means that the undisturbed meadow is wildlife rich. Our main dilemma with this orchard is the amount of mistletoe in the trees, which the owners sell at Christmas. Most of the trees are overburdened with mistletoe and this is starting to topple some of the trees in high winds. Mistletoe weevil has been recorded by our ecologists which adds to the argument for retaining some. Mistletoe is a real dilemma for owners and volunteers !